John Waters: ‘Travolta Kissed Me’…. Actor John Travolta liked to kiss the actors on the set of Hairspray, according to filmmaker John Waters. 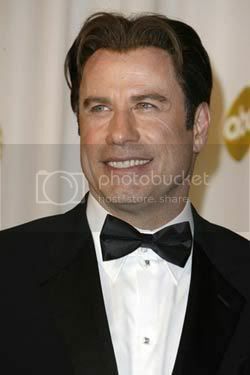 Waters, who penned the original 1988 film, says Travolta often greeted him with a lip lock during the shoot. He tells the New York Daily News, “He kissed me hello. He kisses everybody!” Waters, who also has a cameo appearance as a flasher in the movie, admits he enjoys each new incarnation of his cult classic – after his original Hairspray was turned into a Broadway show in 2002.?